Strange location - that is always a mystical draw for many when it comes to restaurants. Something about the antithesis of good business practice lends itself to the opposite effect. Take The Smoking Pig in Coquitlam for instance. Situated on a dark stretch of Brunette seemingly in some random one-story building, this Korean restaurant actually has a following. 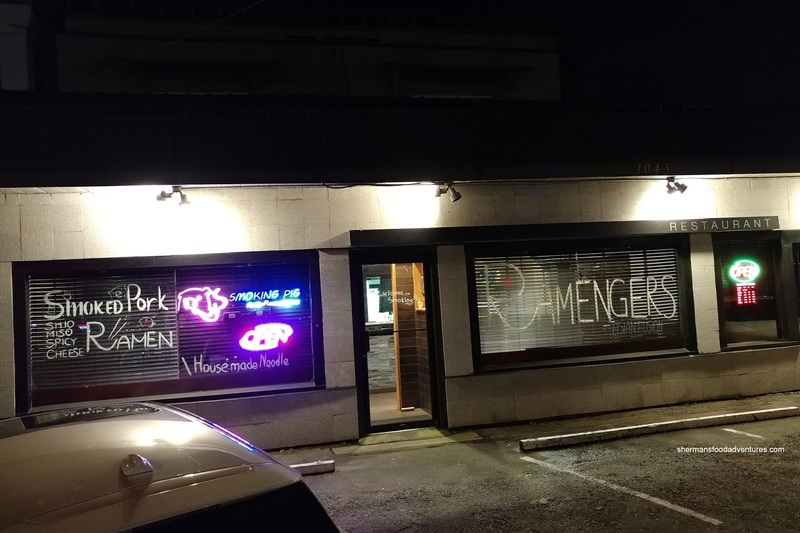 I guess it doesn't hurt that they are affiliated with the now closed Ramengers. 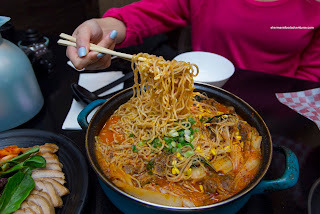 They started out with a eclectic fusion Korean menu that has now simplified into a ramen joint with a few unique dishes. 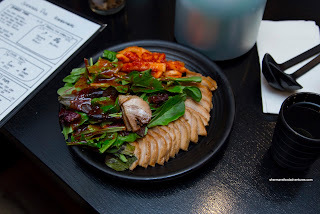 We began with their signature item being the Smoked Pork with pickled spicy radish and salad. At first, it didn't look like much and in fact, resembled bossam. However, one bite and the smokiness really hit us hard. The texture of the pork was tender and buttery soft. I liked the fact it wasn't too fatty, so there was actually a meatiness to it. The radish on the side was on point and provided a nice counterpoint to the smoky pork. 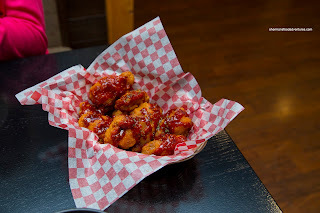 We tried the Sweet & Spicy Wings next and they were arrived scorching hot. The light tempura-like batter on the outside was appealingly airy and crispy. However, the skin wasn't able to render much due to the batter. Hence it ate greasy. On the other hand, the meat was juicy and succulent. I thought the sauce was more sweet than spicy, but it was delicious nonetheless. Onto the main event, we had the Gamjutang Ramen for 2. Reminiscent of Ramengers on Kingsway, it was a really a large portion. There was much more ramen than broth though which was generous of them, but in reality, we would've preferred more soup. It was lightly spicy and did exhibit some depth. Perilla seeds would've been a welcomed addition though. As for the noodles, they were fairly al dente, but had soaked up much of the broth (but partly due to our fault as we took pictures first). The ample pork bones were on point being meaty, tender and full-flavoured. Although we didn't get to try the "regular" bowls of ramen, the items we did sample did provide a good enough representation of the place. 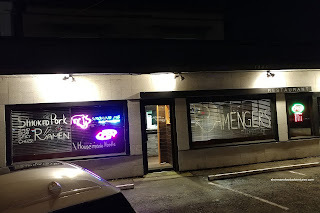 The smoked pork and wings were pretty on point, however, the ramen could've used more soup. Worth a try if you can find the place.